Alarm has been raised over prospects of La Nina phenomenon developing over the equatorial Pacific Ocean. 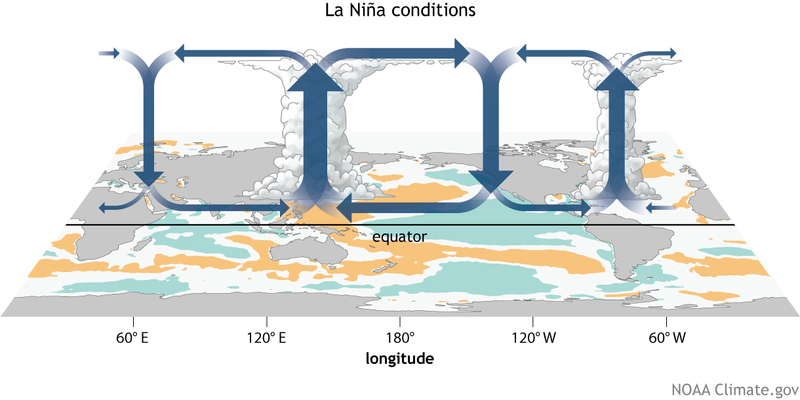 La Nina is characterised by unusually cold ocean temperatures in the Equatorial Pacific as compared to El Niño, which is characterised by unusually warm ocean temperatures. Environment Principal Secretary Charles Sunkuli urged scientists, researchers and other players on the weather and climate to monitor the evolution of La Nina phenomenon. “Monitor its evolution and provide useful information to the national governments in the greater horn of Africa region. It will enable formulation of contingency plans to reduce any potential impacts,” Mr Sunkuli said when he officially opened the 48th Greater Horn of Africa Climate Outlook Forum at Sarova Whitesands Beach Resort and Spa in Mombasa. Intergovernmental Authority on Development Climate Prediction and Applications Centre director Guleid Artan said in the next few months, some six million people in Somalia will face serious drought effects.